There are 1186 Nando's in the whole world! How many have you been to?! The 243 restaurants in Australia over the population of 22.7 million makes Australia the country with the highest restaurant - inhabitant density. Our calculations show there is a Nando's in Australia for every 94,000 Aussies! The Nando's closest to the equator is the Bugis Junction restaurant in Singapore. Chillis evolved in the tropics, so head there for some authentic spice! The first Nando's to see in the new day is the Suva City restaurant in Fiji, and the last is Langford in Canada, a whopping 20 hours later! The most isolated capital city in the world is Santiago, Chile which is a staggering 4,915 miles away from its nearest Nando’s in Camps Bay, Cape Town. Unfortunately, we are yet to find any cheap flights for you Santiaguinos :(. In need of an urgent Nando's fix? You better hope you are in London or Melbourne, which with over 100 Nando's each, have the highest restaurant density in the world! The Nando’s with the longest name in the whole world is Pietermaritzburg, Kwazulu-Natal, South Africa which has a huge 16 letters. It really is quite a mouthful! The largest Nando's in the world is in Stratford Westfield. It has space for 260 Nandoers to eat at once. Queenstown Frankton in New Zealand is the southern most Nando's in the whole world! We are interested to hear what it's like down there! The UK city with the highest restaurant - inhabitant density is Manchester with its 11 restaurants. There is a Nando's for every 45,718 Mancunians! Aberdeen - Belmont Street has the honour of being not only the northern most Nando's in the UK, but in the entire world! Only the most committed fans make the long journey to northern Scotland to visit this restaurant. 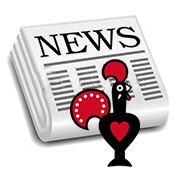 The first Nando's in the UK opened in Ealing Common back in 1992, 5 years after its birth in Rosettenville, South Africa. The 3 most populous towns/cities in the UK WITHOUT Nando's: 1. Wigan (97,000) 2. Birkenhead (88,000) 3. Stockton-on-Tees (84,000) Let's hope that these cities get honoured with a Nando's in the near future. The two UK Nando’s restaurants with the shortest distance between them are Metro Centre - Qube and Metro Centre - Blue Mall. If there happens to be an outrageously long queue at one of them, a 1 minute walk will take you to the other! The national average rating is 3.73 / 5. This means the 'average' Nando's is actually above average! Good job Nando's. Friendliness of staff and speed of service are the most likely ratings to bring a restaurant down. Generally food and decoration/cleanliness score above average. Nando's nationwide find it difficult to handle busy periods. One of the most commonly noticed problems is a slow turnaround of tables on Friday and Saturday nights. In addition, statistics prove that food quality declines as number of people in the restaurant increases. The Rate YOUR Nando's team's favourite time to visit is 12pm so you get the first batch of the day! Restaurants in the centres of large towns/cities usually have the best decorations. Check out Covent Garden, Southbank - Clink Street and Leeds - The Light for examples!